Find our Bear building workshop, the Bear Barn, at Glass & Craft, Kersey Mill, Hadleigh near Ipswich, Suffolk. Unlike conventional bear building workshops, we prefer the hands on approach and therefore do not use an electronic stuffing machine. You will get to stuff your bear by hand to a feel that you want using specialised bear building fibre stuffing. Once you are happy with the amount of stuffing your bear has you can then add in your chosen heart insert after making a wish. Then fill in your very own birth certificate for your new furry friend. We also have a great range of bear t-shirts, outfits and bear accessories including sun glasses, shoes and heart inserts. We also have t-shirts that can be coloured in using our special fabric pens. 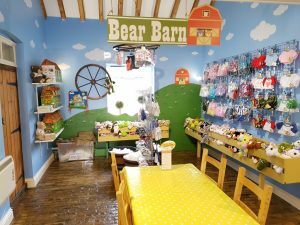 All bear clothing and accessories here at the Bear Barn Suffolk are compatible with the Build a Bear teddies. All our 16″ stuff you own bears are just £14.95 each. You can either stuff your bear in our dedicated bear building workshop or take one of our takeaway kits and stuff your bear at home. Price includes bear plush of your choice, stuffing, wish heart & bear birth certificate. Did you know? 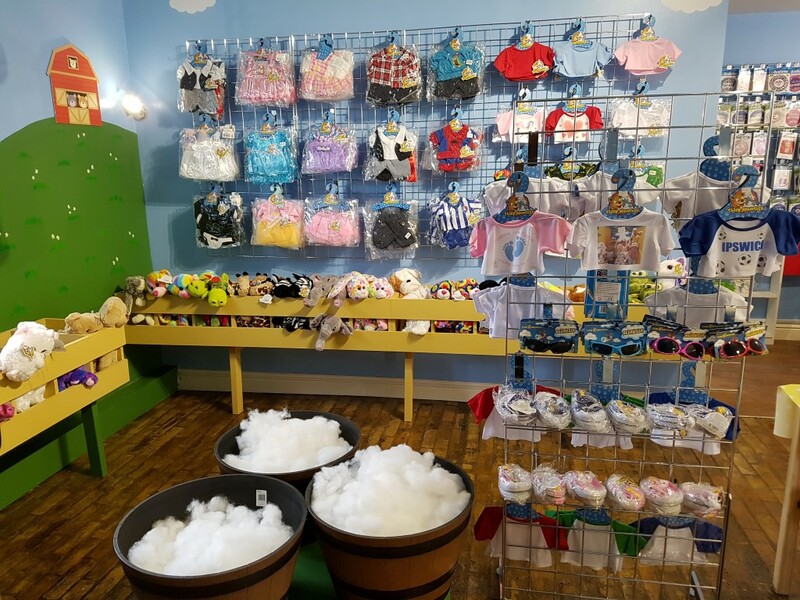 – Our 16″ bear outfits are compatible with the build-a-bear bears. The build-a-bear outfits will also fit on our 16″ bears. Please note that we do not stock the build a bear brand and we can not accept build-a-bear gift vouchers.